ARQ is a revolutionary automated investment engine that takes emotional bias out and let's you harness the maximum performance of asset classes in your portfolio. ARQ uses nobel-prize winning Modern Portfolio Theory, that gives you the best asset allocation advice across major asset classes like equity, gold & debt mutual funds after understanding your risk preferences. 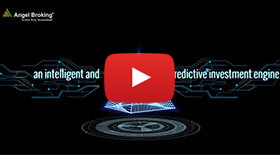 ARQ uses advanced technology to process billions of combinations to create models that have superior predictive power, helping you invest in the stocks & mutual funds that have the highest future performance potential. In keeping with our goal to bring the best investment advice to every single individual, ARQ advisory does not require any minimum investment commitment. portfolio mix for your level of risk. Here's why you need ARQ! WHY IS ARQ's SCORE THE BEST? How does ARQ help me? 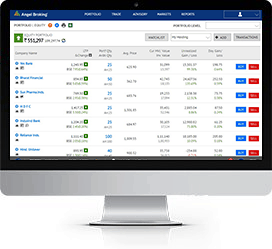 ARQ is a rule-based investment engine that takes emotional bias out of investing, and lets you harness the maximum performance of equities as an asset class. Can I check ARQ's performance claims? Our goal with ARQ from the inception was to challenge, evaluate and scientifically back-test every piece of investment wisdom & logic. 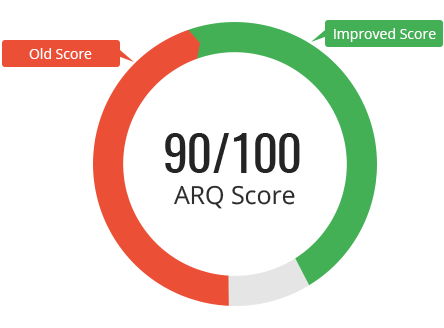 ARQ’s performance test results are available for you to examine, before you take the plunge with your hard-earned money. What are the types of investments for which ARQ offers recommendations? ARQ offers recommendations for Mutual Funds (Lumpsum & SIP) and Equity Stocks. Where can I find ARQ? 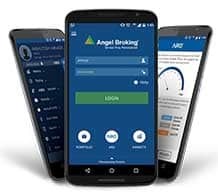 All Angel Broking customers can access & use ARQ through https://trade.angelbroking.com or the Angel Broking App. How does ARQ make me, my own fund manager? Once you start using ARQ, it provides recommendations on a periodic basis through notifications sent via SMS. So, all you need to do is execute trades as per ARQ’s recommendations & thus become your own fund manager. 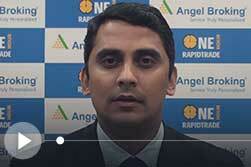 Can I invest using ARQ if I am not an Angel Broking customer? No, you cannot. 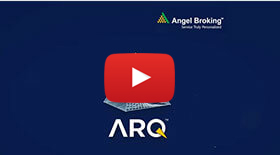 ARQ is available exclusively for Angel Broking customers. To use ARQ, you have to open a Demat Account with Angel Broking (which takes about 1 Hour if you have your documents ready). Once your Angel Broking Demat Account is active you can access & use ARQ on the same day. If I seek ARQ's recommendation, is it mandatory for me to follow that? ARQ is an advisory product & not a PMS product. There is no enrollment fee or minimum committed investment. Once you receive the recommendations, if you wish to you can go ahead with the recommendations or decide not to. What is the strategy used by ARQ? ARQ Advisory is based on a model whose performance has been optimized to provide recommendations with high outperformance and strike rates. The model has been tested using scientific back-testing and has also been validated based on its track record. The model has been calibrated to take advantage of the upticks in the stocks or mutual funds during an investment period. 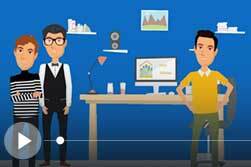 How does ARQ Mutual Funds advice help me to earn more? ARQ helps you pick & invest in the right Mutual Funds. Picking the top performing Mutual Funds is not easy. General strategies to invest in MF like, investing based on past performance, brand name, large size or holding the same scheme for years have been proven to be non-effective ARQ recommends Mutual Fund schemes based on future performance potential & not past performance track record. Hence with ARQ’s advice, you have the best shot at picking the right schemes and getting the highest returns from your Mutual Fund investments. 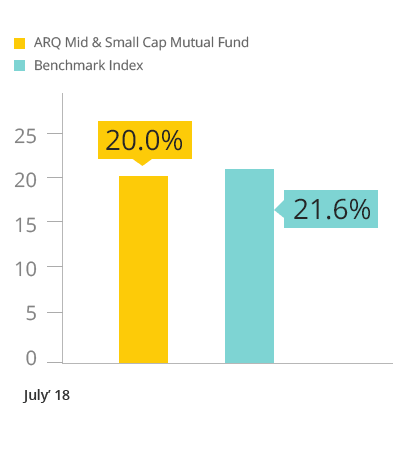 What is the downside of buying Mutual Funds without ARQ? In last 5 years, Top 10 MF schemes gave 14% returns while Bottom 10 schemes gave 5.1% returns. Size didn’t matter. The 5 largest schemes in 2013 were not even in the Top 50 performance charts over the next 3 years. Past performance did not equal future performance. Top 5 schemes between 2006-11 were nowhere near the top between 2011-16. In fact they lagged behind the 2011-16 top performers by more than 30%. Holding the same scheme for years at a time was not the ideal strategy. Over the last 4 years, only one scheme held onto its Top 3 position for 2 consecutive years, while ten other schemes featured in the Top 3 only once in the last 4 years. 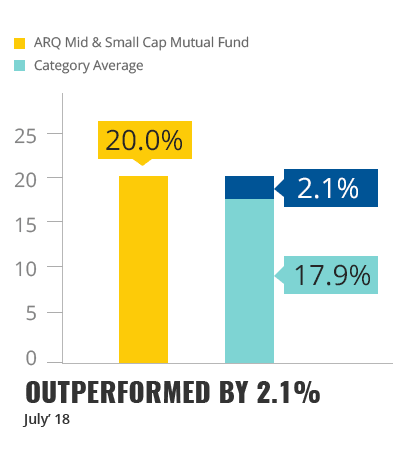 What category of mutual funds does ARQ offer recommendations for? ARQ offers recommendations for mutual funds across various categories such as Largecap, Midcap, Smallcap, Multicap & ELSS funds. 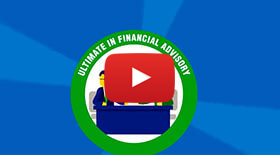 What is the structure of ARQ Advisory for Mutual Funds? As soon as you access ARQ for Mutual Fund recommendations, ARQ will show you the Top 2 schemes for SIP/Lumpsum. You have to invest equally in the preferred schemes. 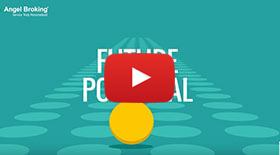 You will receive annual notifications through SMS about rebalancing your portfolio. All you have to do is execute the transaction as per ARQ’s recommendation. 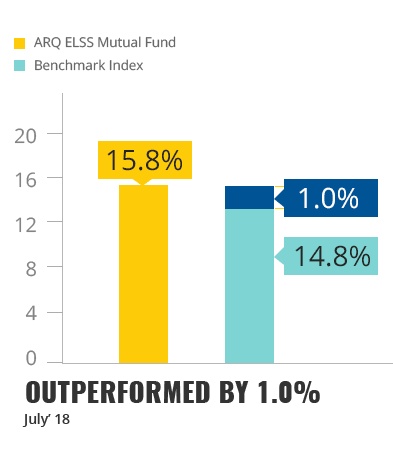 What is the minimum holding period for ARQ recommended Mutual Funds? 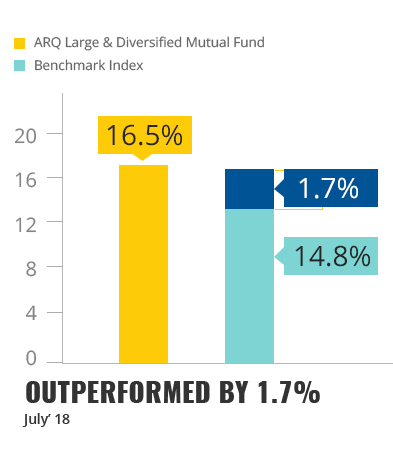 ARQ’s investment strategy for Mutual Funds is designed to work best in a 1 year time frame. You must hold your Mutual Fund schemes for 1 year. After 1 year, you will receive a notification intimating the list of Top 2 Mutual Fund schemes. If some or all of the schemes differ from the ones you are currently holding, then you must sell your existing holdings and buy the newly recommended mutual funds. Can I choose which of the 2 schemes to buy? ARQ’s strategy has been optimized to give the best performance over a 1 year period. Moreover, a 1 year holding period ensures that you don’t have to pay exit load & capital gains tax. Why does ARQ's strategy have to be followed ideally for at least 12 months? No, you cannot. ARQ is available exclusively for Angel Broking customers. What is the performance of ARQ recommendations? 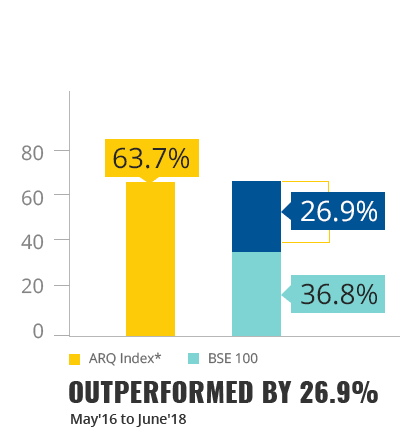 In the past six years (2009-2016), over any 12-month period, on an average ARQ’s mutual fund strategy has delivered 21% annual returns, beating the Sensex by 8.4%. Harnessing the true compounding power of mutual funds, between Jan 2009 to Jan 2016, Rs 1 lakh invested in ARQ’s MF strategy would have become Rs 3.5 lakhs as against Rs 2.6 lakhs if invested in the Sensex over the same period. 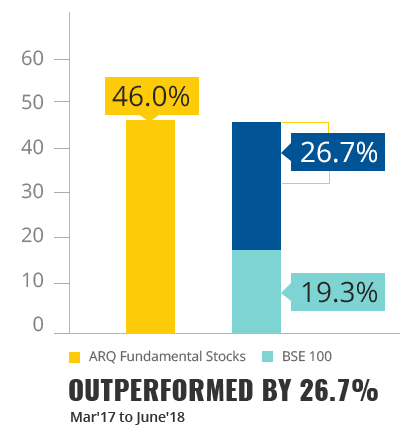 In the past six years, over any 12-month period, on an average ARQ’s mutual fund strategy has delivered 31% annual returns, beating the Sensex by 11%. Harnessing the true compounding power of mutual funds, between Jan 2009 to Jan 2016, Rs 1 lakh invested in ARQ’s MF strategy would have become Rs 5.8 lakhs as against Rs 3.7 lakhs if invested in the Nifty 100 over the same period. These performances are not just from one point of time to another, but the average performance irrespective of whichever month you would have started applying this strategy. What is the strike rate of ARQ Mutual Fund Advisory? Large & Multi Cap: In the past six years, over any 12-month period, ARQ MF recommendations beat the Sensex 80% of the time. Mid & Small Cap: In the past six years, over any 12-month period, ARQ MF recommendations beat the Nifty 100 93% of the time. What are the characteristics of the ARQ Equity strategies? All strategies are optimized to give the best returns over a 1 year period. Holding Period: The current strategy has a 1 month holding period after which you will be notified whether to retain the stocks or switch to a new set of stocks. Over a period of time there will be several strategies which may have different holding periods, market capitalization and no. of stocks recommended. Going forward in this FAQ section the questions are answered in reference to the above strategy. What is the structure of ARQ Advisory - for Equity stocks? When you access ARQ Stock Advisory, you will receive recommendations to ‘Buy Top 3 Stocks’ by SMS notification. These 3 stocks are selected from a universe of high quality fundamental stocks. These stock recommendations are updated daily, so you must make sure to buy the 3 stocks which are recommended as the top buys on the day you choose to invest. What is the holding period of the stock recommendations? Do I have to buy all the stocks recommended? ARQ is a disciplined stock investment strategy. You must buy all 3 stocks in approximately an equal amount. The holding period is 1 month. After 1 month, you will receive a notification intimating of the list of Top 3 stocks on that day. If some or all of the stocks differ from the ones you are currently holding, then you must sell your existing holdings and buy the newly recommended stocks. 1st June 2016 Recommendations: Buy Piramal Enterprises, JSW Steel, Bajaj Finance. 1st July 2016 Recommendations: Buy Piramal Enterprises, JSW Steel, Pidilite. 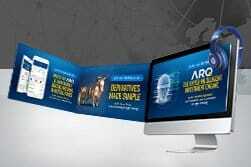 ARQ is a disciplined stock investment strategy. 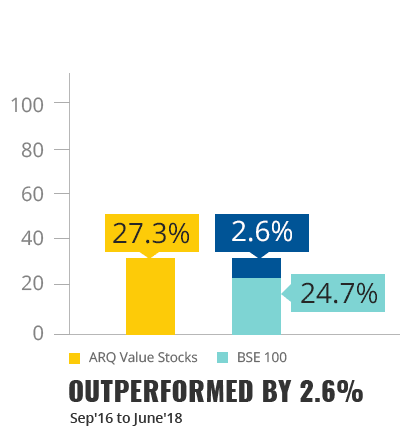 Unlike other advisory products, ARQ’s stock advice works at a portfolio level, designed to keep you invested 365 days a year in the Top 3 best quality stocks. ARQ’s strategy has been optimized to give the best performance over a 1 year period. Due to the volatile nature of stocks, daily/weekly/monthly returns can tend to fluctuate, so the ideal recommended investment duration is 12 months. Can I choose which of the 3 stocks to buy? The strategy involves disciplined investing. You must invest in all 3 stocks equally. You must sell within a month and buy the next set of 3 stocks. Will I have to change the stocks every month? New set of stocks will be recommended every month. They may or may not be same as last month. For the next month those are the stocks that are expected to give maximum returns, so irrespective of the returns generated in the previous month, you should not hold on to the previous month stocks if the list of stocks has changed this month. How do I buy exactly the same amount in each of the 3 stocks? ARQ is optimized to provide the best returns over a 12 month period. Hence, there is no individual target price or target returns from each stock, but rather you should follow the strategy for 12 consecutive months to get optimum returns at the portfolio level. What is the strike rate of ARQ Equity Advisory? Firstly, the number of months that the recommendations under-perform are lesser than the outperforming months. Secondly, and more importantly, in the months when ARQ recommendations underperform, the quantum of underperformance is much lesser than the quantum of outperformance in the positive months i.e. the risk-reward ratio is favorable. By keeping you invested 365 days a year, it helps you capture the significant up-moves in several stocks so that eventually you end up on top by a healthy margin, as demonstrated by the validated results. Why is ARQ's strike rate so high? The returns are calculated after taking into account the brokerage charges (we’ve taken 3.5% for 12 churns, implying 24 Buy/Sell transactions i.e. around 15paisa per transaction). Plus, STT has been taken, Service Tax is taken, so basically the returns arrived at are after all charges. Note: Short Term Capital Gains Tax not considered, just as banks also do not quote interest rate post tax, nor do we give Target price and target upside in any Fundamental/Technical, etc. net of tax. But, for reference the investor can keep in mind 15% short-term capital gains tax, which means that returns would be lower by around 6.5% in the 6-year testing period.